WASHINGTON -- Former Secretary of State Hillary Clinton has directed her staff to turn over her private email server to the Department of Justice, the spokesman for Clinton's presidential campaign, Nick Merrill, told CBS News Tuesday. "This past spring, Hillary Clinton asked the Department of State to publish the 55,000 pages of the work emails she provided to the Department last fall. As she has said, it is her hope that State and the other agencies involved in the review process will sort out as quickly as possible which emails are appropriate to release to the public, and that the release will be as timely and transparent as possible," Merrill explained. "In the meantime, her team has worked with the State Department to ensure her emails are stored in a safe and secure manner. She directed her team to give her email server that was used during her tenure as Secretary to the Department of Justice, as well as a thumb drive containing copies of her emails already provided to the State Department." Clinton's lawyer, David Kendall, turned over the emails after the FBI determined that he could not remain in possession of the classified information, a U.S. official briefed on the matter told the Associated Press. The State Department previously had said it was comfortable with Kendall keeping the emails at his Washington law office. The news came as Sen. Charles Grassley said two of the emails, which traversed Clinton's insecure home email server, were deemed "Top Secret, Sensitive Compartmented Information," which is among the government's highest classifications. Grassley said the inspector general of the intelligence community had reported the new details about the higher classification to Congress on Tuesday. Those two emails were among four that had previously been determined by the inspector general of the intelligence community to have been classified at the time they were sent. The State Department disputes that the emails were classified at the time. "The Intelligence Community has recommended that portions of two of the four emails identified by the Intelligence Community's Inspector General should be upgraded to the Top Secret level. Department employees circulated these emails on unclassified systems in 2009 and 2011 and ultimately some were forwarded to Secretary Clinton. They were not marked as classified," State Department spokesperson James Kirby said Tuesday. "These emails have not been released to the public. While we work with the Director of National Intelligence to resolve whether, in fact, this material is actually classified, we are taking steps to ensure the information is protected and stored appropriately." The U.S. official said the FBI recovered at least two thumb drives containing the emails from Kendall. The drives contain around 30,000 emails that Clinton deemed work-related and turned over to the State Department. She destroyed thousands of others that she said were not work-related. Will new round of Clinton emails and docs affect campaign? The inspector general for the Intelligence Committee told Congress that potentially hundreds of classified emails are among the cache that Clinton provided. 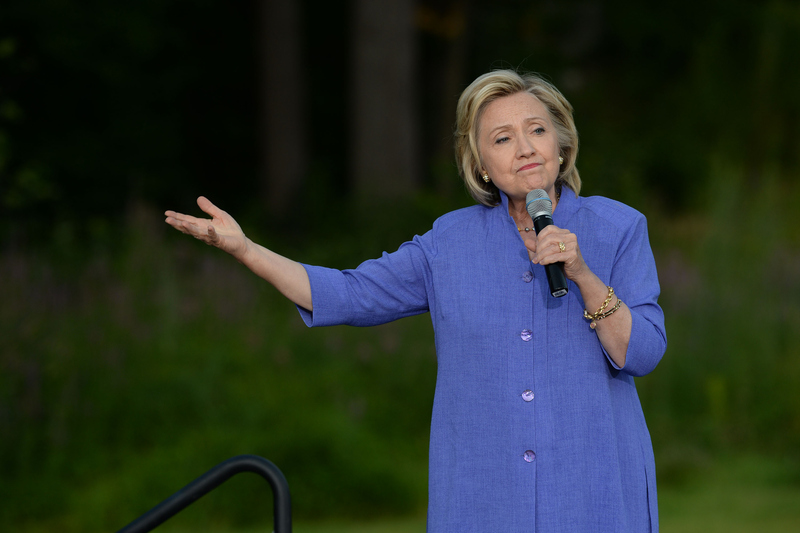 Former Secretary of State Clinton, a Democrat running for president, has faced criticism over her use of a private email address and home server for official business. Her campaign and Kendall did not immediately respond to a request for comment.